Fun. Fabulous. Uplifting. Magical. These are just a few of the ways that parents describe Music Together. Each week in Music Together classrooms around the world, babies, toddlers, preschoolers, big kids—and the grownups who love them!—gather to make music as a community. 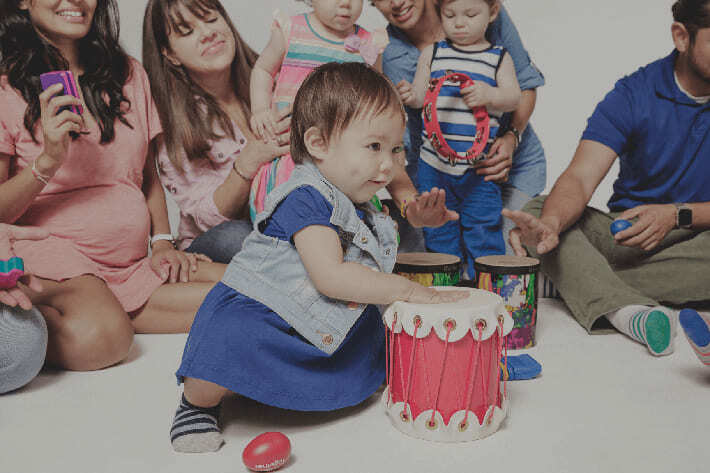 Offered at more than 3,000 locations and 40 countries, our early childhood music classes give families with children from birth through age 8 the chance to get in touch with their inner musician and connect with other families. We’re on a mission to make the world a better place by making it more musical. And you can be part of it by joining one of our music classes in your neighborhood! If you love music, and you love children, consider training to become a Music Together teacher. Our teachers come from a variety of backgrounds—they’re actors, professional musicians, stay-at-home parents, preschool teachers, and more—but what they all share is the desire to help bring the power of music-making back into family life. Find out how you can join the ranks of happy Music Together teachers worldwide! If you want to share your passion for music with families in your area, a career with Music Together might be right for you. Whether you’re a music-loving entrepreneur looking to start a business or a musician interested in a unique and fun way to grow your income, consider bringing our music classes for kids to your community and inspire the next generation of music-makers!